When life gives you a broken computer and summer brain, I guess you just end up with a late blog post! So, I’ll save the boring broken computer talk and just ramble on about one of the best weeks my body and mind have taken off from the ‘online’ world. Because my family is spread out around the country, it’s not often that we are all under the same roof for a week or two – thanks to my mom’s planning, we traded the burning California sun in for the slightly less burning Hawaiian sun as a midsummer vacation. A few days after the Fourth of July, the five goons that I call my family and I headed off to the blissful town of Haleiwa on the North Shore of Oahu. We had a wonderful home to call ours for the week, surrounded by breathtaking views of the Pacific and adventures in the tropical mountains. A couple nights into the stay, I witnessed the most surreal sunset with vibrant purples, pinks and oranges, radiating through the evening sky. It’s safe to say that photos taken didn’t come close to capturing it. The moonrise mirroring this sunset was somehow just as enchanting and breathtaking. We had a small, local grocery store to pick up some essentials and remind us that SPAM is definitely more than a survival ration canned meat. Our morning coffee spot, Ted’s Bakery, served it in multiple dishes and almost every food truck had spam and rice ready to dish out. Even though the salty, cured ham is a cultural staple in Hawaii, I don’t think it will be in my pantry anytime soon. 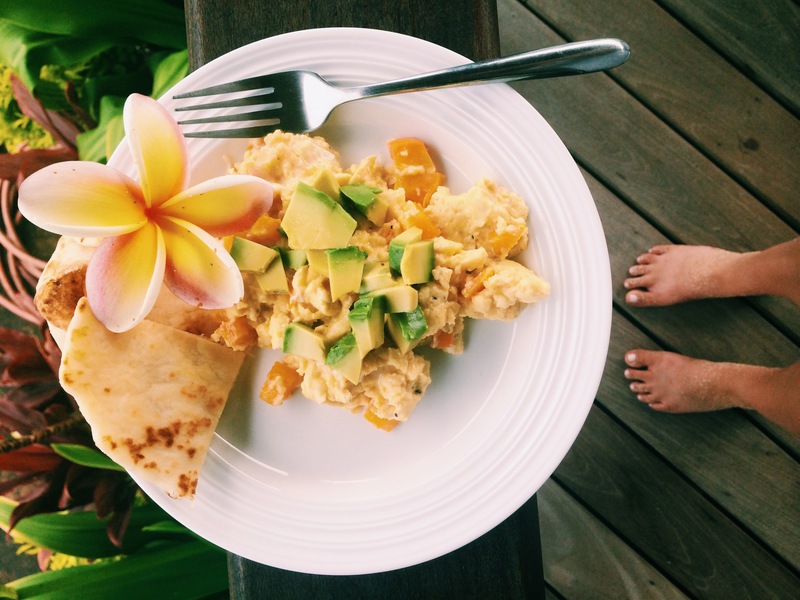 Aside from a few meals out, we made delicious breakfast scrambles with the sweetest mangoes and tastiest avocados.. and that’s saying a lot coming from a Californian. We definitely have our fair share delectable avocados stateside, but Hawaii’s are so creamy and much sweeter – the perfect topping to a scramble. 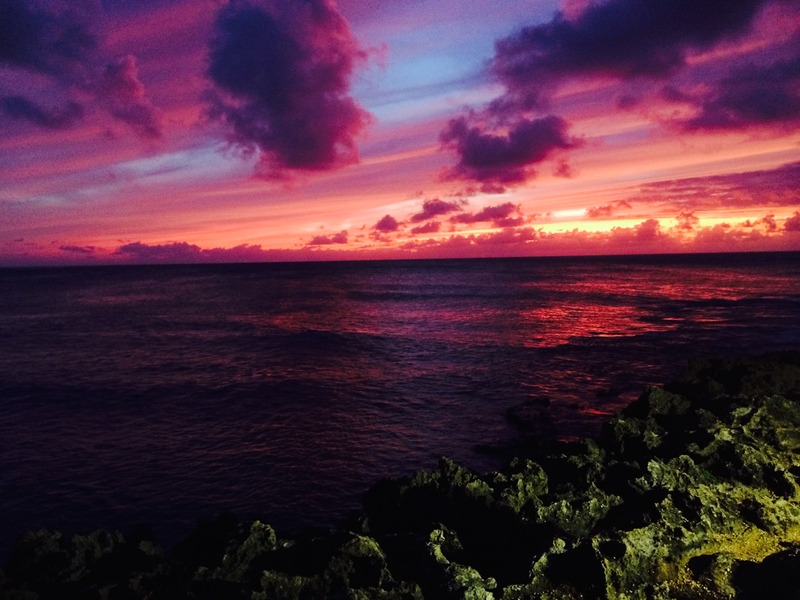 Hawaii is the ultimate island getaway, and us West Coasters are so lucky to have it so close. Not much can compare to the stunning vistas at Waimea Bay or the endless tropical fish of Shark’s Cove when you’re in a summer mood… it blows my mind to think back to this trip, even if it was only two weeks ago. Even though the week was a short family get together, it was exactly what a work and colleged-out family could have asked for…and better. We laughed, explored, swam, relaxed, but most importantly brought the band back together for a vacation meant for the books. 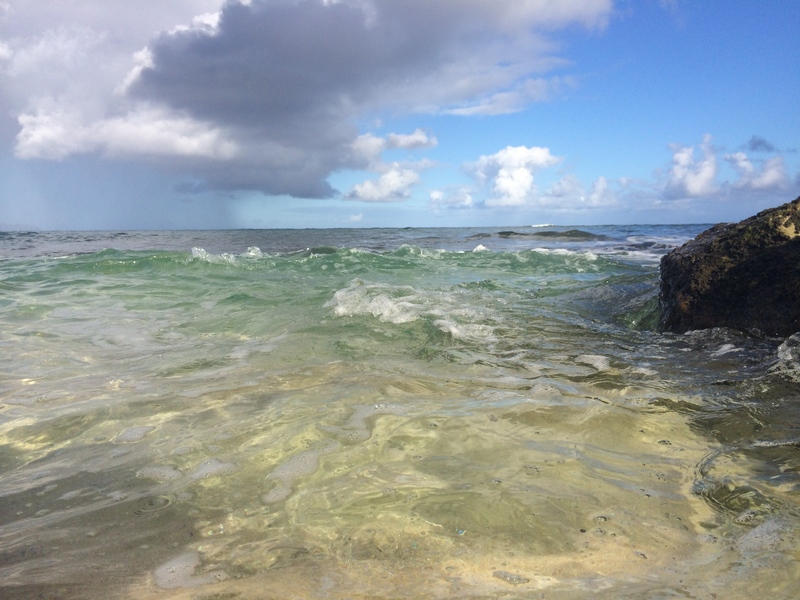 Mahalo, Hawaii, you were swell. What are your summer adventures and favorite destinations? Let me know in the comments below!